Russia's independent natural gas producers (IGPs) account for a growing share of domestic output, but they are now facing turbulent times amid the global financial crisis and the subsequent domestic economic downturn, as well as problems with sales and gas transit. The role of independent gas producers in Russia has increased over the past decade. Novatek and others have begun contributing significant volumes to the domestic market. In addition to the gas monopoly Gazprom, some 30 Russian companies produce more than 10 million cubic meters (mcm) a year. Russia's second-largest gas producer, Novatek, and the oil companies Rosneft, Lukoil, TNK-BP, and Surgutneftegaz, produce some 80 percent of the total IGP output. Independent producers are thought to control nearly a third of Russia's gas reserves or some 14,000 billion cubic meters (bcm), according to the Union of Independent Gas Producers (Soyuzgaz). The independent gas producers' share of Russia's total output has risen from 6.4 percent in 1999 to some 15 percent now, according to the organization. Last year Novatek reported an increasing gas output. In 2008 it produced 31 bcm of gas or 8.3 percent more than the year before. Nonetheless, on March 12 Novatek announced losses of 3.6 billion rubles ($103 million) in 2008, mainly in the fourth quarter. Novatek also said that in the fourth quarter domestic gas condensate prices were 50 percent below the previous quarter (Interfax, March 12). Furthermore, in early March Novatek's daily gas production was 19 percent down from the February level. Novatek had planned to produce 105 mcm of gas per day in 2009, but then the plan was reduced to 85 mcm a day, with output expected to go down to 50 mcm later this year (Interfax, Vedomosti, March 6). Novatek's output cuts were understood to be caused by Gazprom's policy of limiting domestic supply. 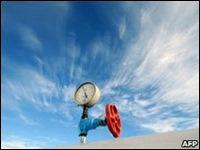 On March 3 Gazprom said it could reduce its gas offtake from independent producers as demand fell. Novatek subsequently conceded that it was forced to reduce output significantly (Interfax, March 3). Nonetheless, Novatek apparently remained keen on maintaining good relations with Russia's gas monopoly. On March 16 Russian news agencies reported that Novatek was still considering a joint project with Gazprom to invest in Gazpromneft (AK&M, March 16). Despite adverse economic conditions, another leading IGP, Rosneft, pledged to develop its Kharampurskoye gas field in Western Siberia, as well as the Sakhalin gas projects. 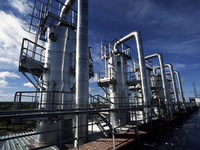 Lukoil also said that the company had no plans to cut investments in gas projects. In the meantime, Russian IGPs now face interruptions in the operations of their major sales venue, Gazprom's Mezhregiongaz (MRG) auctions. In September 2006 the Russian government allowed MRG auctions to operate in a testing phase. In 2008 MRG auctions sold 6.1 bcm, including 3 bcm from independent producers. In June 2008 the MRG price was 34 percent higher than the average gas price established by the Russian Federal Service for Tariffs (FST). But in November and December 2008, Russian domestic gas demand went down owing to unusually warm temperatures and sluggish industrial demand caused by the economic crisis. Therefore, the Russian gas sector was understood to be significantly overproducing, and last December MRG auction prices dropped to a virtual parity with the regulated FST prices for the first time since the auctions started. On December 15 MRG halted its auctions for the months ahead. In January Rosneft reportedly requested the government to restart MRG auctions. Rosneft CEO Sergei Bogdanchikov wrote a letter to Deputy Prime Minister Igor Sechin, suggesting a resumption of the MRG auctions, according to the Russian business daily Kommersant. Rosneft reportedly claimed that MRG auctions were blocked by Gazprom (Kommersant, January 23). In 2009 the government was supposed to approve MRG auctions on permanent basis. In February Alexander Petrov, the head of MRG's gas market department, said that the auctions were unlikely to recommence before the third quarter of 2009 (Interfax, February 24). MRG's website keeps announcing that the auctions will remain suspended, awaiting approval of the governmental decree on exchange-based and electronic gas trade. Meanwhile, MRG's subsidiaries have reportedly started limiting gas supplies to domestic consumers because of crisis-related nonpayment (Kommersant, March 17). Gazprom currently buys gas from the independents at regulated domestic prices and sells it for export at higher international prices. Last year, Russia's Federal Anti-Monopoly Service (FAS) planned to draft amendments to the gas export law that would allow independent gas producers to participate in natural gas exports. FAS was to submit the draft document to the government in May 2008 and then on to parliament for approval in June. However, the draft has not yet been approved. Independent gas producers have long needed better access to Russia's ESG gas transportation system to unlock the value of Russian gas associated with oil production. 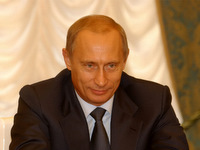 In January 2009 Prime Minister Vladimir Putin pledged to grant independent gas producers better access to the Gazprom-controlled pipeline system (Interfax, January 15). It is believed that the IGPs are forced to burn off significant volumes of associated oil gas because of their limited access to Gazprom-controlled pipelines. Russia is thought to burn up to 50 bcm a year of associated oil gas, according to estimates by the World Bank, while official Russian statistics put the amount at 24 bcm per year. A decree signed by Prime Minister Putin on January 8 stipulates that from 2012, oil companies will not be allowed to burn more than 5 percent of their total associated oil gas production. This year major gas producers may also expect direct government support. 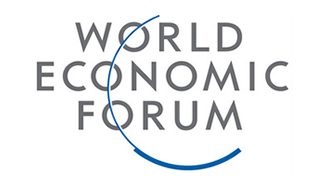 In December 2008 the Russian government approved a list of 295 "strategic" companies eligible for state support. Apart from state-controlled energy giants Gazprom and Rosneft, the list also included Sibur, Lukoil, TNK-BP, and Surgutneftegaz. Although inclusion on the list does not guarantee state financial support, the government pledged to secure the sustainability of "strategic" companies by restructuring back taxes, state orders, and subsidized interest rates.